Introducing the next generation of the Legend Amp series of pedals, the LA2 line. Guaranteed to be the most versatile distortion pedals on the market, offering huge tube-style saturated tone in the styles of all of your favorite high gain modern and classic amp heads. The LA2 pedals will accompany the original series, as an enhanced upgraded "PRO" version. Two-channel LA-2 series preamp effects are designed to produce clean and overdriven guitar sound within a variety of guitar channel organization. The basic concept of the series is "your own sound in your pocket." LA-2 incorporates original circuit designs developed by the specialists of AMT, which allow to obtain bright and rich sound in the style of the original tube overdrives using low-voltage (9V) power and low current consumption. direct connection to a mixer. All three of these outputs can be used simultaneously! Use the different outputs for recording direct and micing at the same time, run different effects through different outputs, or record three DAW tracks all at once. The routing and recording options are endless. The Legend II series of pedals are a studios engineers dream come true. 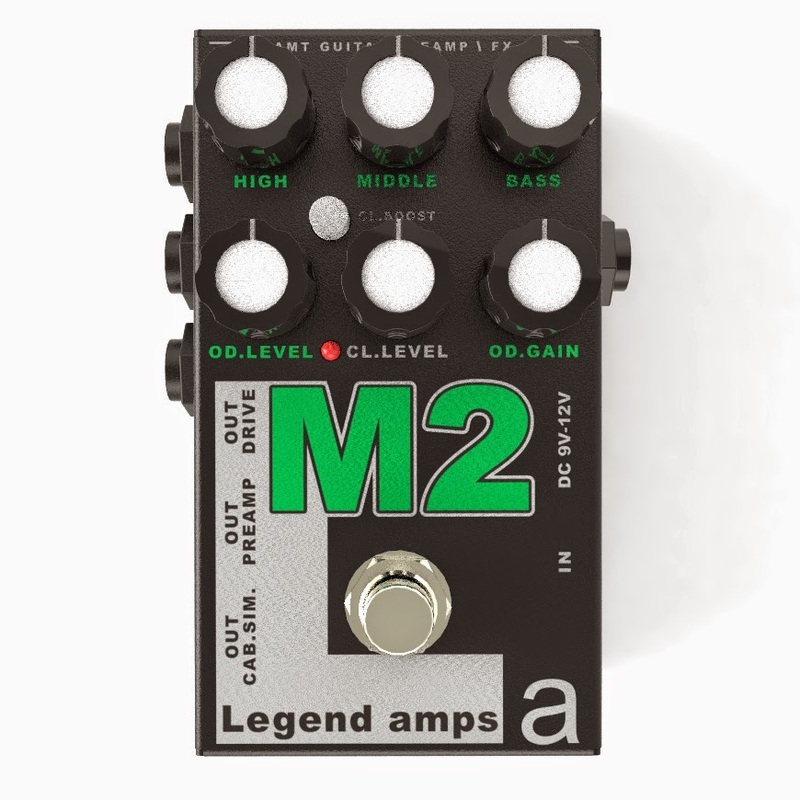 When connected to the amp or a mixer La-2 acts as a two-channel preamp providing switch between clean and overdriven channels by means of a footswitch. CLEAN channel is universal for all models of the series and sounds in the style of classic Fender amps. When using LA-2 in effect mode the "clean" channel of an external amplifier or a combo is used. Please be aware that the used combo or amplifier largely determines the resulting sound. When in effect mode the series uses "partial" active bypass, which reduces the need to minimize the length of used cables and retains the original sound of the instrument when the effect is off.